World War I and the fall of tsarist Russia brought brief independence to Azerbaijan, but by 1920 the Bolshevik revolution pushed south with the twofold purpose of accessing the oil-rich fields near Baku on the Caspian Sea and spreading communism into the Caucasus. Azerbaijan, the richest and earliest significant source of oil in the world, was the first republic in the South Caucasus occupied by the Red Army, which then advanced into neighboring Armenia and Georgia. Pulling from confidential, newly accessed archives, Hasanli describes Soviet Russia’s aggressive policy toward the three South Caucasian nations, which led to their absorption into the USSR by the end of 1922. The book highlights the Caucasian peoples’ struggle to retain political independence against Soviet Russia and an international cast that included European powers wanting to retain petroleum concessions; Kemalist Turkey, which claimed special ties to the Turkic Azeris; and Iran, which controlled South Azerbaijan and was thus a possible route of expansion eastward for Bolshevik movement. 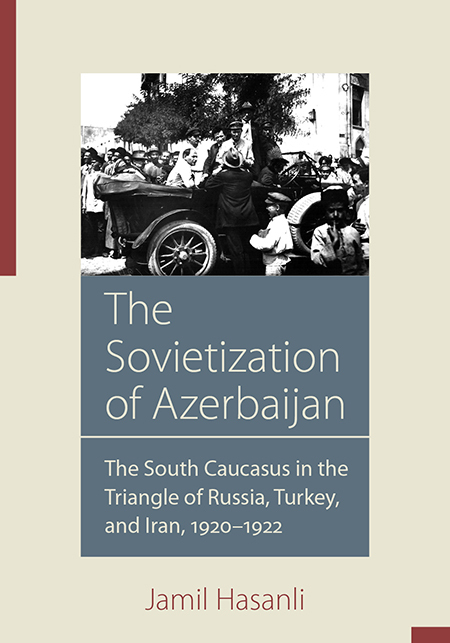 The author also considers the impact on Azerbaijani-Armenian relations of the first two years of Sovietization and explains how Azerbaijan provided space for Bolshevik experiments. Throughout his book, Hasanli illuminates the tragedy of the complex, confused period of Sovietization of the South Caucasus. Jamil Hasanli is a scientific analyst for the Turan News Agency in Azerbaijan and a visiting professor at East China Normal University in Shanghai, 2016–2017.